Vavunativu, Kannakuda and Kokkaticholai, bordering Thoppigala, in the Eastern regions of Sri Lanka, were severely affected during the conflict that devastated the island. Since the cessation of the three decade long war, these areas have gradually returned to normalcy with improved infrastructure, roads, schools and other facilities. Since early 2013, the MJF Charitable Foundation (MJFCF) has worked in these war-affected zones, establishing livelihood projects and supporting approximately 150 women-headed families with livelihood support in agriculture and dairy. 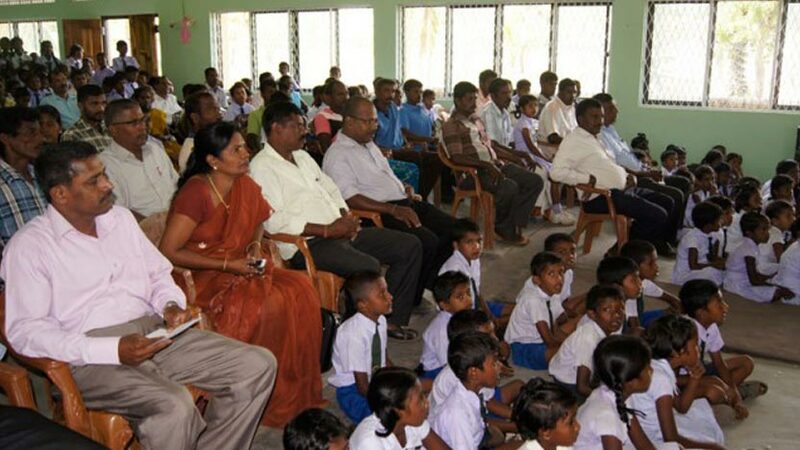 There are also 64 schools spread across this area which come under the purview of the Zonal Education office of Batticaloa West, located at Kurunchamunai in Kannakuda. 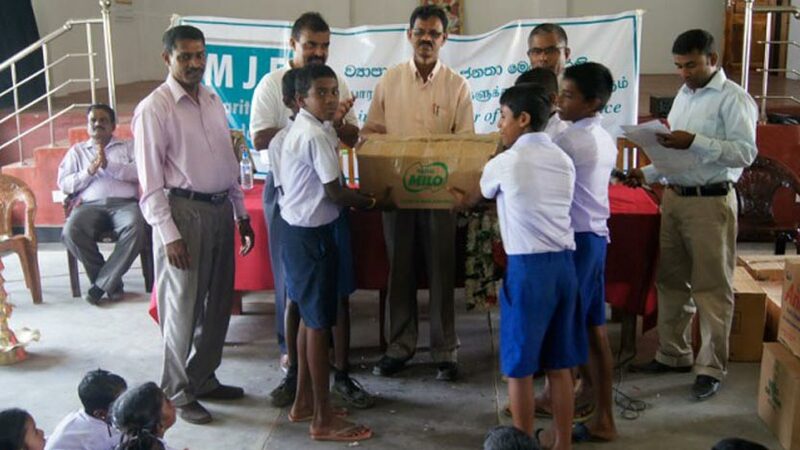 During MJFCF’s previous interactions with war-affected families, a request was made by the Zonal Education Director, Mr. Bask Ran, to consider providing the school children in these areas with school uniforms; which although necessary for the children is an unaffordable requirement for most parents who are, primarily, unskilled workers or farmers and fishermen. 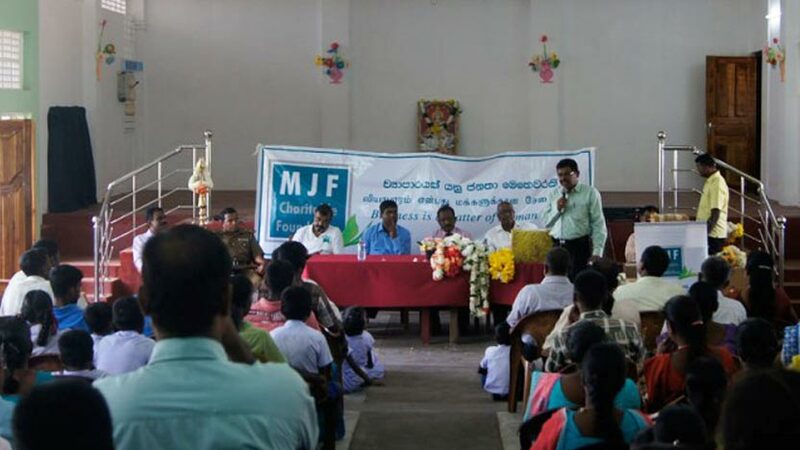 The MJFCF committed itself to the task and pledged to provide 4005 uniforms to the most deserving 24 schools in the area. 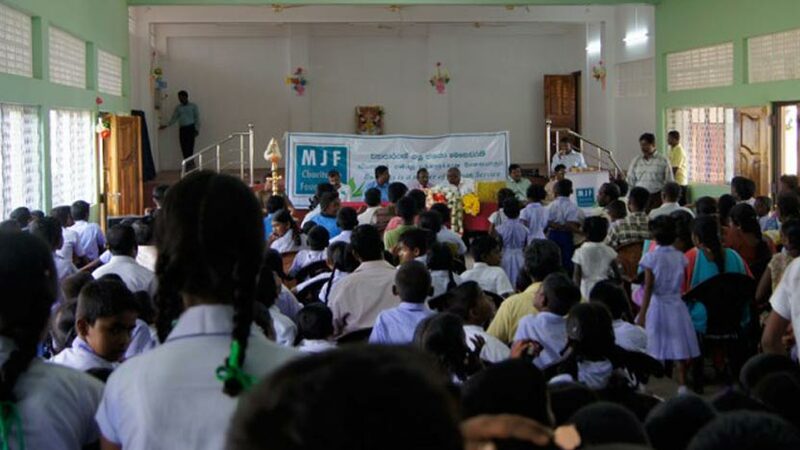 Having obtained all details and measurements of the students from selected schools, the foundation engaged nearly 15 Tailors, who are part of the MJF Charitable Foundation’s Small Entrepreneur Programme (SEP), in order to complete the task at hand.